Bro. Horace Stroud obeyed the gospel on March 16, 1986, and was baptized at the Kashmere Gardens Church of Christ in Houston while Willie B. Williams served as minister. Bro. Stroud preached his first sermon one month after obeying the gospel. Bro. Stroud remained a faithful member at Kashmere Gardens until he moved his membership in 1988 to the Anderson Street Church of Christ in Sealy, Texas where Bro. Hurpe Miles, Sr. served as minister. This allowed for Bro. Stroud to develop his preaching skills as he was permitted to preach bi-weekly at this congregation. Along with preaching, Bro. Stroud taught bible and Sunday school classes. Bro. Stroud moved his family in 1997 to the Church of Christ in Highland Heights in Houston while Bro. Robert Harper served as minister. While at the Highland Heights congregation, Bro. Stroud, Bro. 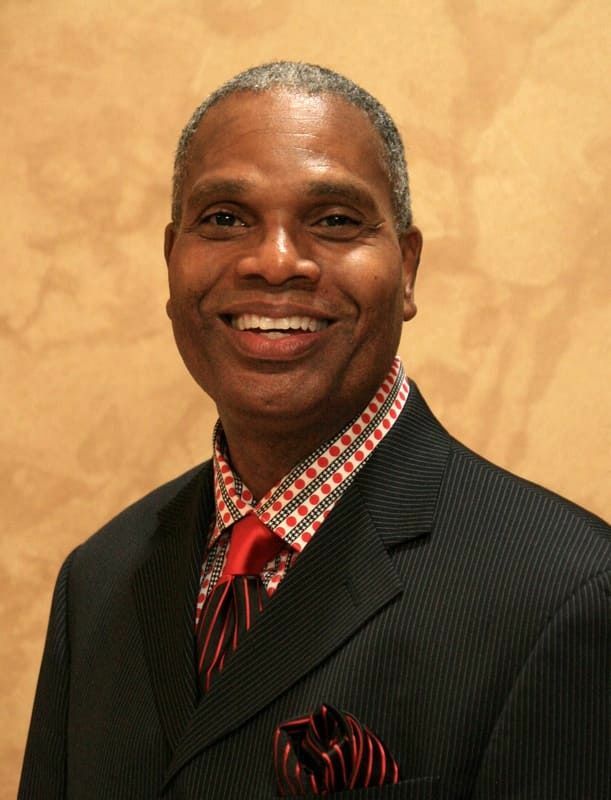 Tim Ellerbe and their wives were instrumental in developing several groups of young adults in this ministry. From the bible classes taught by Bro. Ellerbe and Bro. Stroud to the opening of their homes for young adult fellowships, these young people were able to witness an example of two Christian homes. In April, 2004, Bro. Stroud accepted the position of pulpit minister at Anderson Street and faithfully served that congregation through 2007. In 2008, Bro. Stroud began a work in his subdivision (Sundown Glen) which lasted until the clubhouse they were using for worship and bible class became unavailable. A month later (July 2008) Bro. Stroud and his family chose to serve with the congregation in Highland Heights. Bro. Stroud began assisting the pulpit preacher shortly thereafter and accepted the position of Assistant Pulpit Preacher/Family Minister in November, 2008. Along with assisting the pulpit preacher, this role includes initial counseling with families and individuals as well as developing a youth minister for the congregation. Bro. Stroud received a Bachelor of Science degree from Texas Southern University (1982) with a double major in Communications and Journalism. Bro. Stroud is currently employed by the Harris County Sheriff's Office as the Mental Health Quality Improvement Coordinator. This position involves monitoring all areas of mental health services offered to inmates of the county jail. Bro. Stroud has over twenty years experience working in the field of mental illness. Bro. Stroud enjoys studying the word of God and preaching the gospel of Jesus Christ. Recreational activities include running and playing table games. Bro. Stroud also takes pleasure in spending time with his family. Bro. Stroud is married (June 1987) to Faye Stroud. They have two daughters, Destinee (born January 1989) and Morgan (born April 1993).